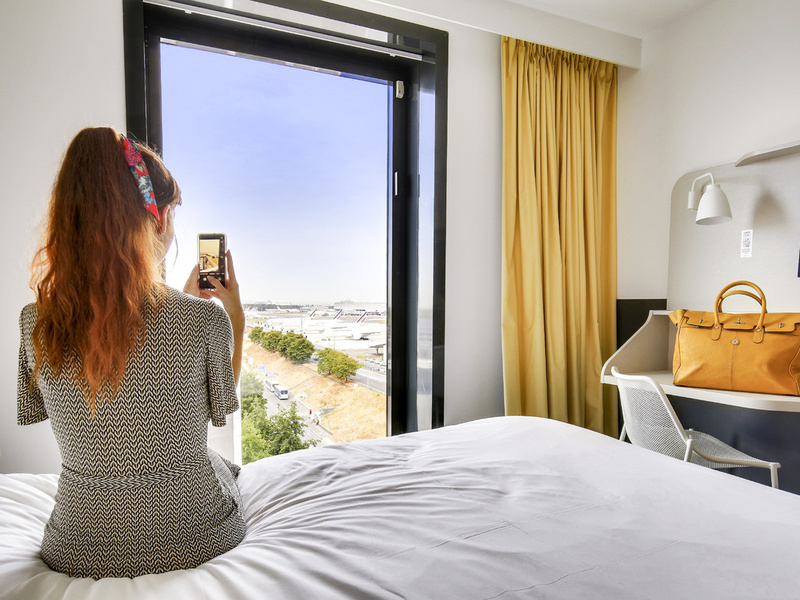 Launch into space at the ibis Styles Paris Charles de Gaulle Airport hotel! Changing spaceships? Want to take a break in our space station and be welcomed by a fun and attentive team? Don't delay, book now! The ideal base for take-off to destinations such as Paris, the Parc Astérix, Disneyland® or the Château de Chantilly. Budding cosmonauts can go shopping, to the cinema and dine out at restaurants in the Aéroville shopping mall, 1.2 (2 km) away. Foody's Planet welcomes you all year round from midday to 2pm and from 7pm to 11pm. Discover its international menu, starring fresh produce. Go on a cosmic journey to discover burgers, platters and dishes of the day. The Foody's Planet bar is open all year round. Go on an adventure and enjoy its selection of international wines and beers. Relax in our galaxy and discover our cocktails. Our shop will delight any hungry cosmonauts.